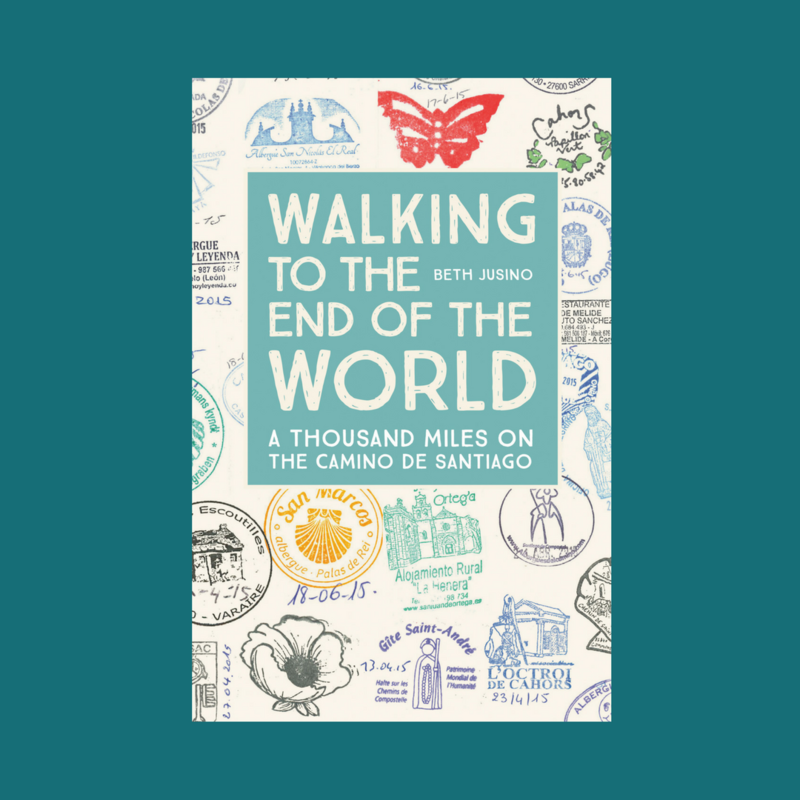 When we first set out to walk the Way of St James from Le Puy, France, all the way to Santiago and then on to Finisterre, I knew in theory we would need rest days along the way. I understood that a person can’t—well, shouldn’t—walk a thousand miles without stopping to re-fuel now and then. I’d read all the books and blogs, and knew that it was common to stop and spend a day letting muscles heal and minds rest. But then, when we started, I discovered (again) that my book knowledge didn’t always translate well into practice. We walked a week to Saint Come d’Olt, then on to Conques and Figeac. Every day, I pushed myself on tender feet and tired legs. Every night, I unpacked my bag, and every morning I re-packed it and started walking again. We were surrounded by new friends who walked every day, and we felt a pressure to keep up. If they were going 26 more kilometers tomorrow, so should we. I failed to take into account that most of them were doing shorter walks overall. The Eight Walkers left us in Conques on Day 10. The Brothers Grimm left us in Figeac two days later. They went home to rest. We kept walking. I also failed to take into account how hard the culture shock was for two Americans on their first international expedition. How every day was not just a physical challenge, but a mental one, too. We had to think about every word, translate every sentence. Everything about long-distance walking was new. Everything about France was new. And yet we kept walking. After two weeks, I felt the need to stop. But somehow, rest was harder to find than I expected. Gites seemed too remote—far from markets and supplies—to stay for more than a night, or they were already booked, or they didn’t allow people to stay more than a night. At least, that’s what I thought. In hindsight, I didn’t ask. I’d learned how to walk in France, but not how to stop. Eric and I walked 18 days and over 380 kilometers (235 miles)—half of the entire Chemin du Puy—before my need for rest overcame my hesitance to summon my courage, break my pattern, and ask for it. Every day, my feet ached a little more. My energy sagged. The beautiful countryside became a blur. More rolling hills, roadside medieval chapels, and picturesque fields of French cows? Sure, whatever. Finally, we arrived in Lauzerte—or, to be precise, just outside Lauzerte. As luck would have it, we arrived on a weekend, and everything in town was already complet. But there was a private gite, the Villa Venou, on the edge of town. It was a sprawling stone house with a glassed-in porch with a lovely view, rolling lawns, a centuries-old tower, and a private double room. Hesitantly, we asked our hosts–who spoke no English–if we could stay two nights. They readily agreed, and even offered to drive us into town on our rest day so we could look around and do our shopping. It’s amazing what happens when you ask. And so we stayed. We spent a full day napping, reading, and watching the sunlight shift on the fields of safflowers. We washed all of our clothes and slept in the same bed for two nights in a row. When people ask me now what I wish I had done differently on that first trip, my answer always comes back to rest. It’s possible to keep plugging along, pushing your body and mind. But why? When you walk the Camino, you pass through places you will probably only see once in your lifetime. This isn’t a race, so slow down. Linger. Don’t try to keep up with someone else’s pace. And if you need a day to just rest and watch the sunlight move, take it. I so enjoyed your book! it brought back memories of my Camino in 2017. 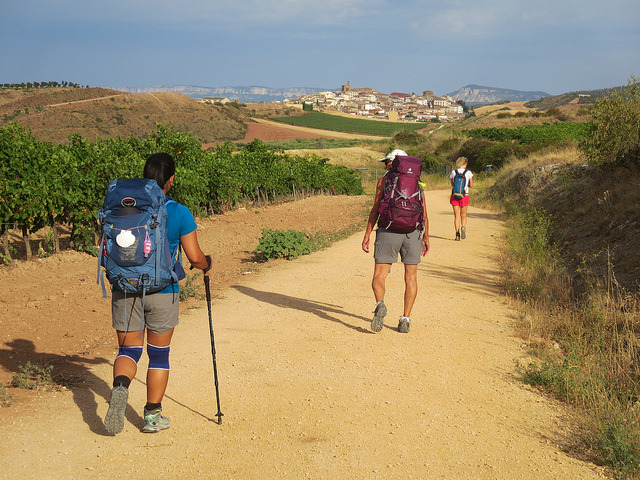 Thank you for your insight, your humor and your honesty about your Camino.